A while back, I wrote about a trip to Tokyo during which I briefly sampled the then-new Santal Majuscule. 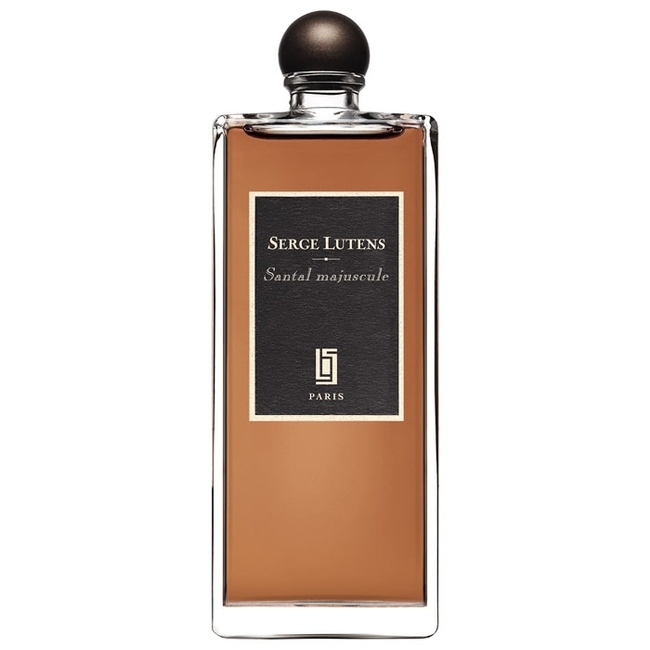 I mentioned that it reminded me a lot of Santal de Mysore: a commenter noted a resemblance to Jeux de Peau, and I said I thought there was some of that, too (partly because Jeux de Peau has a sandalwood note that seems very, or completely, Santal Blanc). 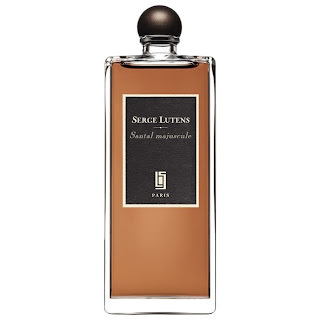 I finally got a sample of Santal Majuscule, and after a week of wearing it I can report that it smells essentially like a combination of Santal de Mysore and Jeux de Peau, in approximately a 20/80 mix, which means that it is very nice indeed —warm and lush and slightly strange, pure Lutens — but completely unoriginal: if you already own either of these scents, it's entirely unnecessary, and if you've tried them both but were unimpressed, then this one isn't going to convince you, either. Thank u for a wonderful review! Sadly, it seems the only creativity found in perfume these days r from on ur analytical blog..